Pedal pubs. These versatile multi-passenger tourist quadricycles have begun to appear in various locations around Wisconsin, including Madison, Appleton, and Milwaukee. 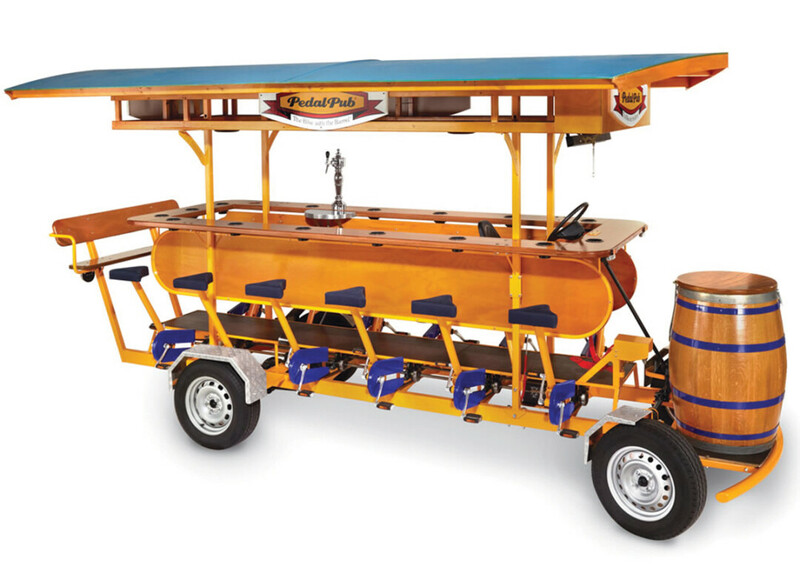 Altoona may be next to join the ranks of Wisconsin cities to feature what the Pedal Pub website calls a "party bike." 44 North, a River Prairie bar and restaurant, recently approached the Altoona City Council about purchasing a pedal pub for use in Altoona and River Prairie, said Altoona Management Analyst Roy Atkinson. "The idea is that in order to activate a space and make a public space attractive, you need to provide a wide variety of things for people to do that appeal to a wide demographic," Atkinson said. In 2016, Chippewa Falls considered allowing pedal pubs, but the following year the City Council said the party bikes were a no-go. By creating an ordinance regarding quadricycles, the City of Altoona can set standards for the equipment used in the bikes, such as headlights, taillights, turn signals, and mirrors, in addition to where the bikes can go, Atkinson said. Pedal pubs are currently allowed in all municipalities, Atkinson said. But, without an ordinance to regulate their use, they only have to meet minimum state standards, such as not allowing alcohol and only allowing certain hours of use.